Numbers never lie and the National Automobile Dealers Association (NADA) Dealer Satisfaction Index Awards have proven this, as Daimler commercial vehicles took home the lion’s share of accolades at this year’s awards. 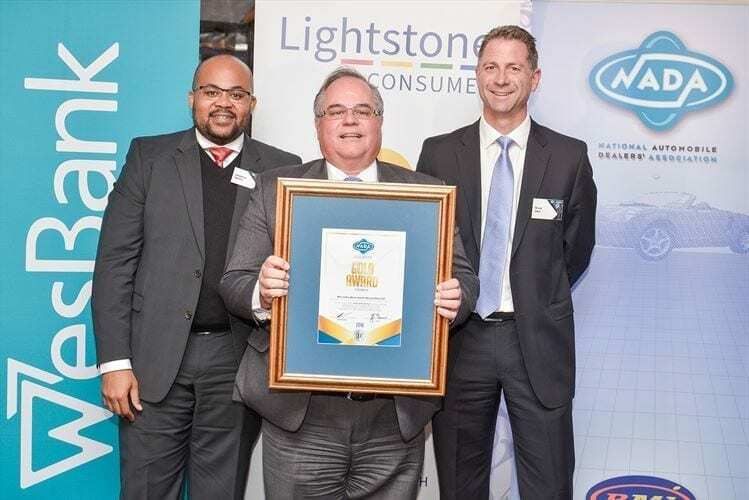 The NADA awards are aimed at publicly rewarding various original equipment manufacturers (OEMs) in South Africa for their outstanding collaboration with their dealer partners. For the fifth year in a row, Mercedes-Benz Trucks was once again ranked first with a score of 84.4 %, an increase of 1,9% from last year. FUSO Trucks took the fourth spot overall, with a score of 79%, which is an increase of 1%, while Freightliner Trucks improved to 5th position, with an overall score of 70%. NADA in South Africa has, for a number of years, measured dealers’ satisfaction with the various automotive brands. In 2016 a total of 39 independently researched brands formed part of the survey and 1 553 completed responses were received. The NADA Dealer Satisfaction Index (DSI) project has been actively supported by NADA Executive Members, NADA Dealer Council Chairmen and representatives of all 39 participating brands. Dealer Principals amongst all OEM brands in South Africa participate in surveys that measure, amongst others, dealer satisfaction, vehicle range, communication and relationships, media support; parts; goodwill, policy claims & warranty; franchise compliance audits; dealer support, labour rates, customer focus, pre-owned vehicles and customer satisfaction index programmes. “As Daimler commercial vehicles, we are delighted with these stellar results. They are a strong confirmation of the effective collaboration between Mercedes-Benz South Africa’s commercial vehicles headquarters and our dealerships,” said Gary Dodds, Manager: Daimler Trucks & Buses – Dealer Support. “We would like to thank our valued dealer partners for their endless drive to offer unmatched service, which has ensured we win these accolades. By having such an exemplary relationship with our dealers, we ensure that Daimler Trucks & Buses continually leads the segments in which we operate in,” he concluded. Poor project results – are soft skills the solution?